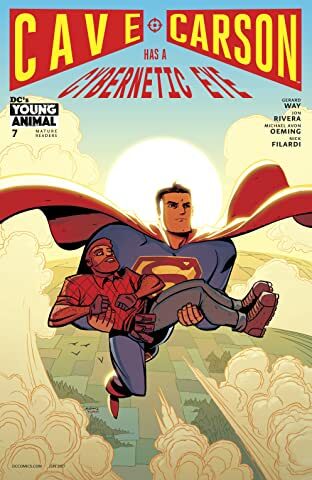 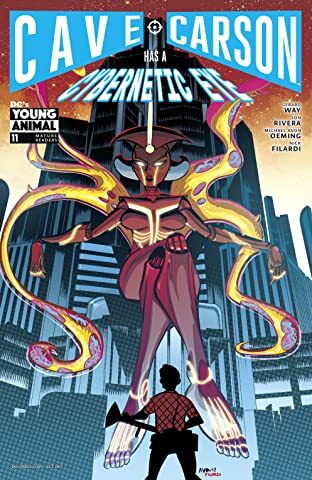 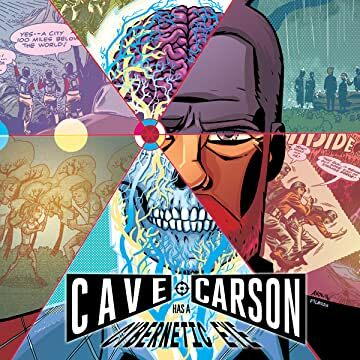 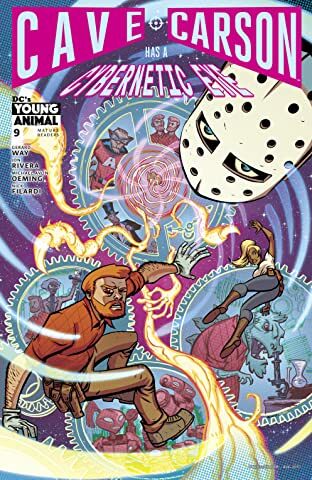 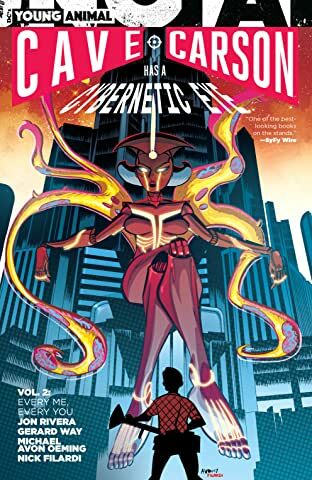 Cave Carson has done it all: survived countless adventures below the Earth's surface, met the love of his life, and gotten a cybernetic eye...somehow. 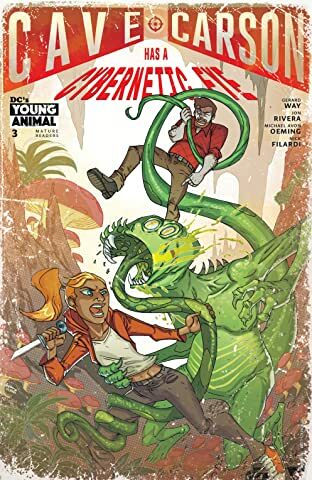 After he and his wife, Eileen, sent their only daughter Chloe off to college, Cave was ready to become just another mundane member of the surface world. 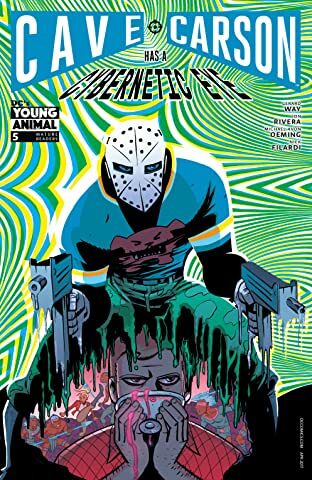 That is, until Eileen got sick. 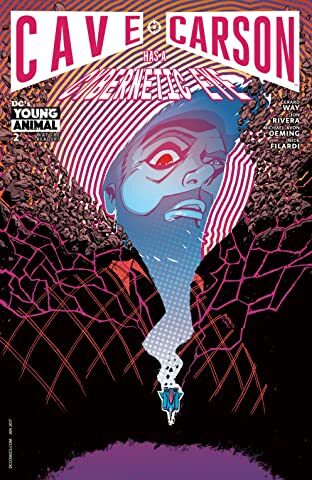 Newly widowed, Cave tries to piece his life back together when a knock on the door of his secret underground lab pulls him back into a past that he and Eileen thought they had left buried deep within the Earth. 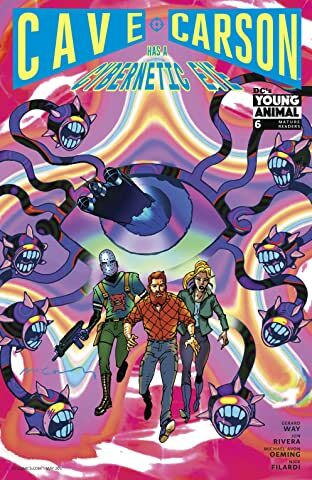 Adding to his troubles, Cave must determine if his recent hallucinations and visions are the work of his mind or his mysterious cybernetic eye. 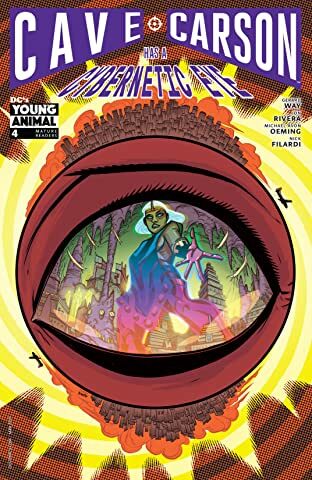 (Spoiler: It's the eye.) 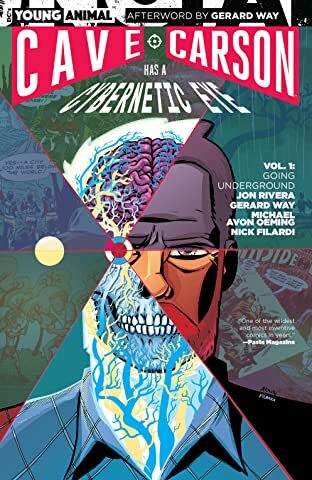 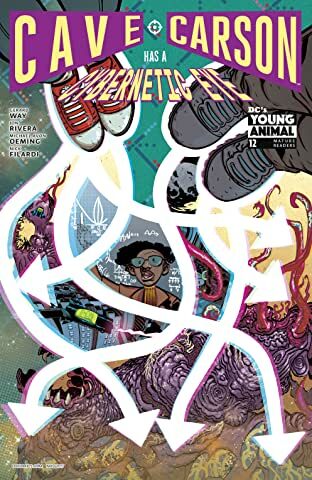 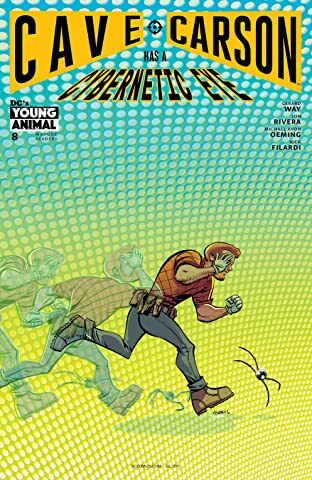 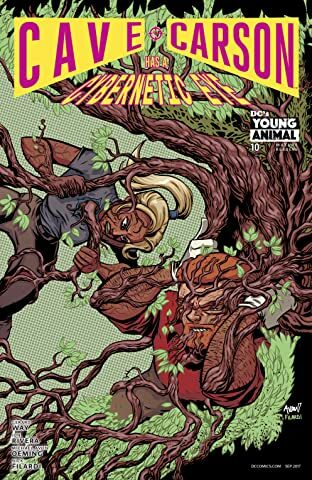 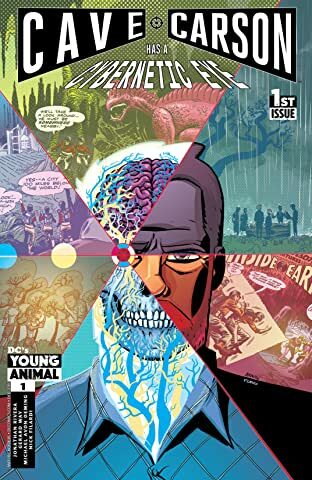 Written by Gerard Way (DOOM PATROL, Umbrella Academy) and Jon Rivera (Heartbreak), and illustrated by Michael Avon Oeming (Powers), this is an absurdist action-adventure story unlike any other!